All of the examples in this section are of our own work, which we hope will give you some inspiration for your event. Looking at past events can help to establish what you like, and don’t like, to develop a clear picture of your requirements. At this stage some people choose to employ a wedding or party planner to bring all of their ideas together into a coherent brief. Whilst every event is completely bespoke, this section aims to outline how we interpret a brief, the equipment we suggest and a guide to the costs. We try to be clear about what we provided and what was supplied by the client, party planner or other contractors. 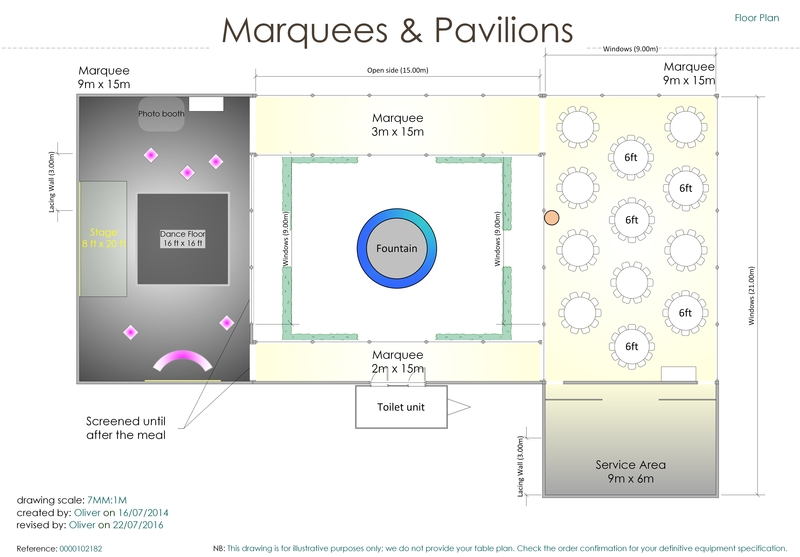 Arrange a site meeting to discuss how a marquee would work at your venue. Wedding reception for 130 guests with separate marquees for wedding breakfast and evening party. The marquee was situated a the lawn at the clients home and needed a kitchen marquee, a generator and electrical distribution, heating and loos. The marquee lawn was centred on a large fountain. We designed a symmetrical set of marquees either side of the fountain with walkways between them such that the fountain became part of a central courtyard. We put a dining room, with a classic wedding finish, in one of the marquee, and a nightclub room in the other. The dining room was open on three sides and had ivory pleated linings, chandeliers and a nut carpet. The nightclub area had black carpet and blackout linings. The central stage had a fairy light curtain backdrop. There was a black dance floor and illuminated bar and poseur tables. This marquee was installed in a single day, however the components for the wooden floor where delivered to site in advance of the build. The crew build the flooring for all of the structure first to ensure complete symmetry around the fountain. They then split into two teams and worked on one main structure and one cloistered walkway each. Access to the site was through a narrow gate from a small country lane, and then across a field and some more lawns. We installed ground guards to project the lawn from damage. We worked with Isabel Smith Wedding Design on this event. Marquees & Pavilions build the marquees and a flooring. 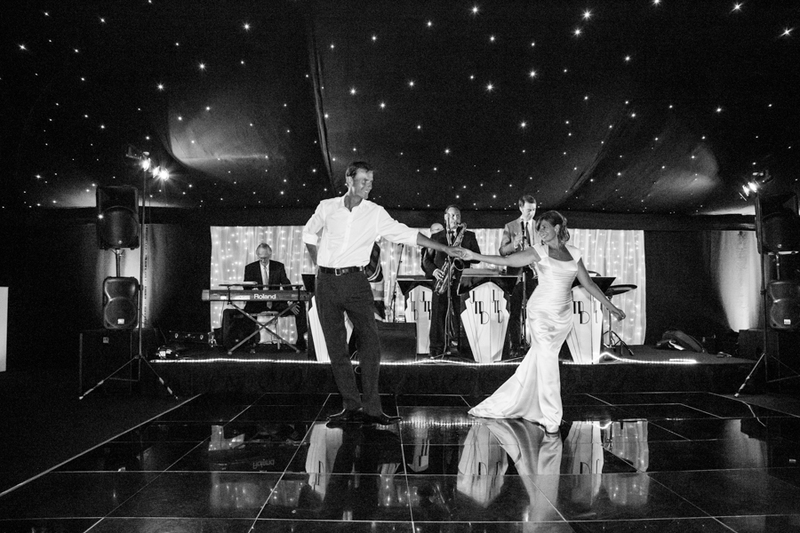 We provided the lining, lighting, furniture, bar and dance floor. We also supplier the heating, loos and generator and installed the electrical distribution. This was one clients vision, but please contact us to discuss you requirements and get a bespoke quotation for your event. In today’s outdoor event market there are many options. 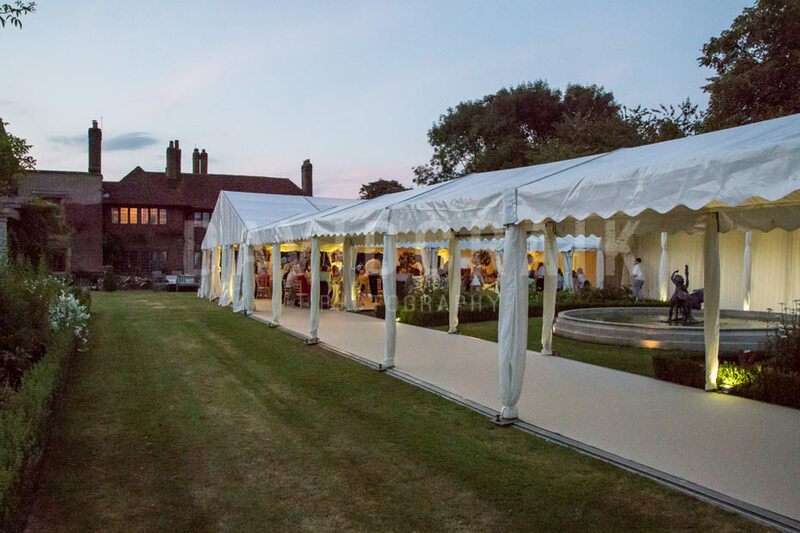 With their robust aluminium construction, frame marquees are designed to cope with the worst of the British weather, be it a heavy summer downpour or a freezing winter night. We have many years of experience and well trained staff. As members of MUTA, we follow their industry-leading Best Practice Guide and submit to annual independent inspection. You’ll find us friendly and approachable. We are also very experienced and will always try to give you a straight answer and our best advice. So do please give us a call with any questions. However, to get you started here are some of the questions other people have asked. Marquees & Pavilions are a high end supplier of marquees for weddings and parties in the Berks, Bucks and Oxon area. 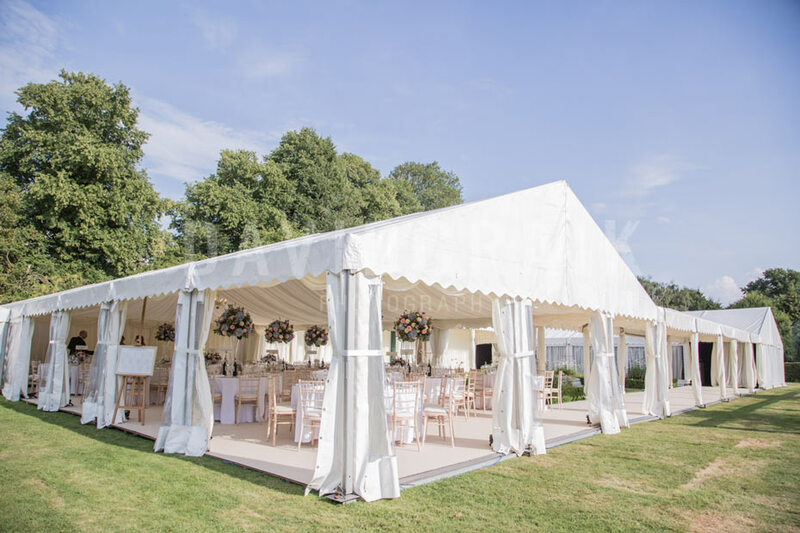 We will provide a complete venue for your outdoor event to include not only the marquee, interior lining and furniture but also lighting, heating, generator and loos.